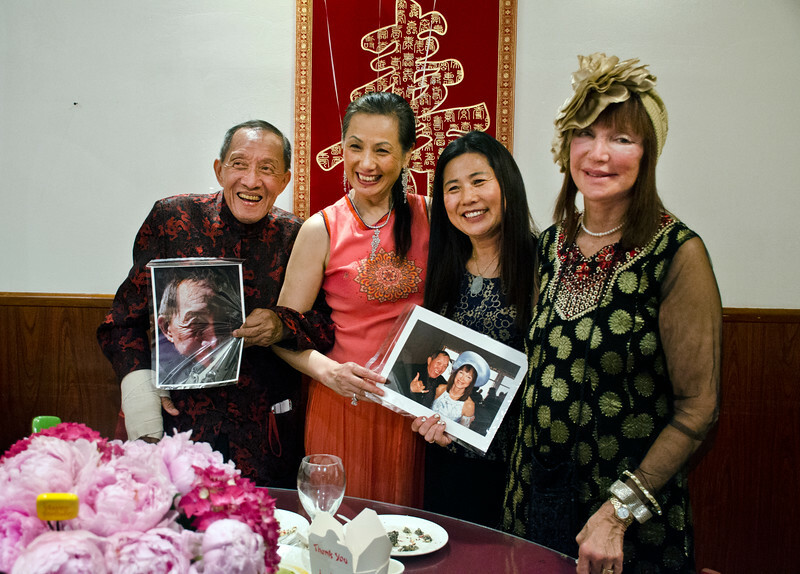 Henry Him, left, with a fabricated TIME Magazine "man of the year" type cover at his 80th birthday party at Dong Bei Mama Restaurant. Restaurant owner 2nd on left. Sheila Ash on right.